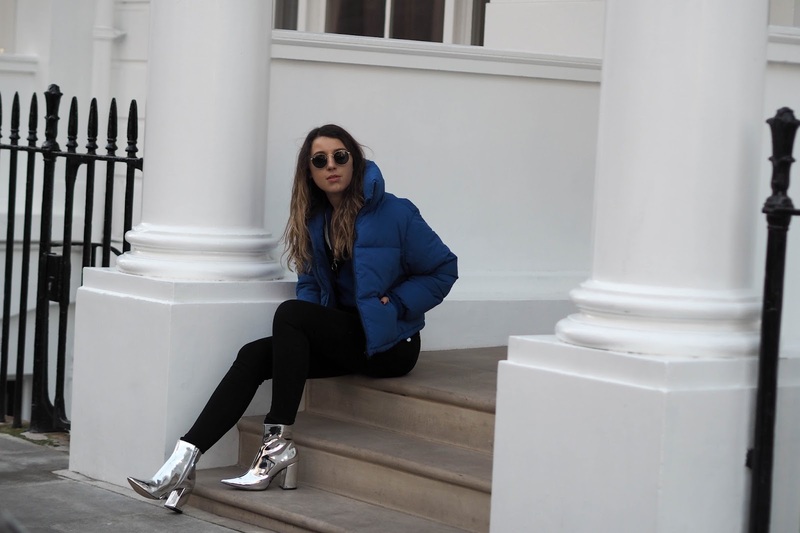 There is definitely something very sports luxe about a puffer jacket. 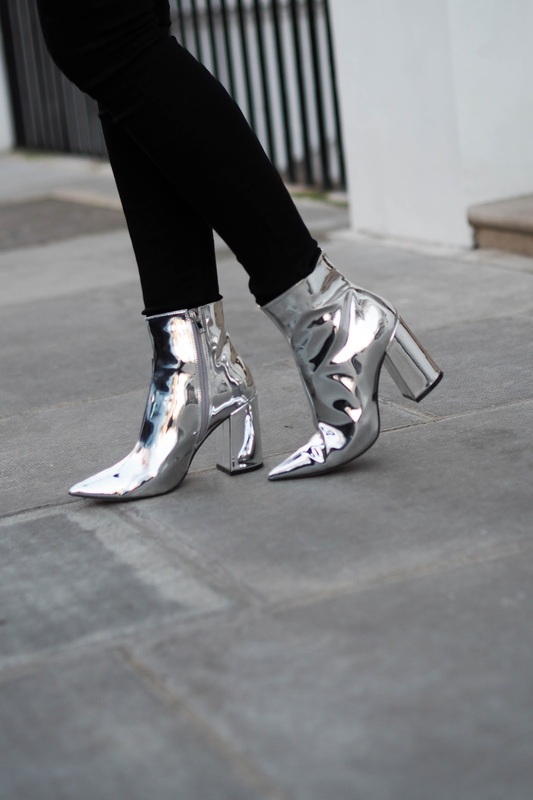 It's not a style I thought I would be too keen on but a few months into what feels like the coldest winter ever and I've managed to accumulate 4! Crazy I know but they really are the warmest jackets I own and this year I've focused on nothing other than being warm. 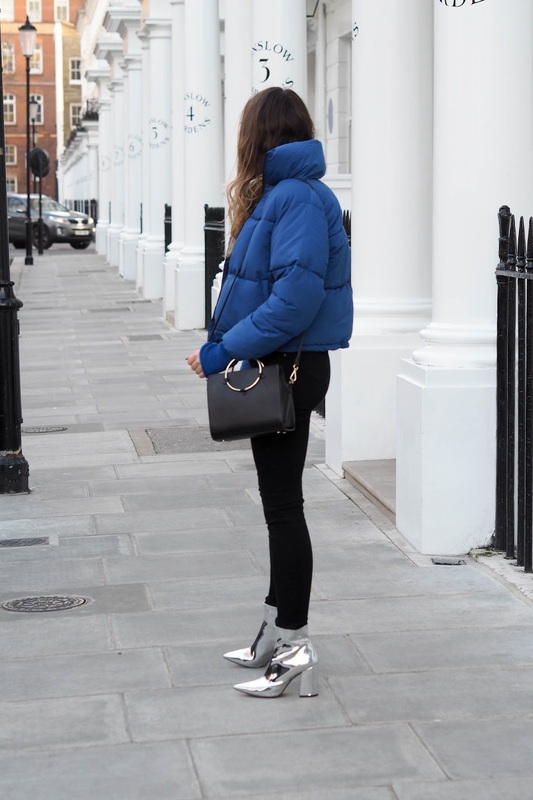 What I particularly like about puffer jackets is that you can wear them with your favourite pair of trainers or dress it up with a pair of heeled ankle boots like I have done in today's post. 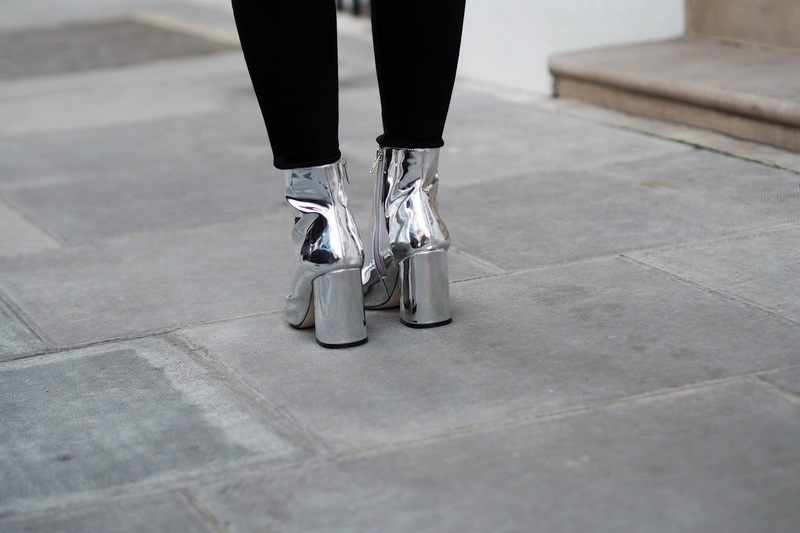 Try alternating between trainers and heels and you really will be looking too cool for school. Not to mention, it's an easy to way to create two different looks which might feel difficult due to the bright colour of this jacket. 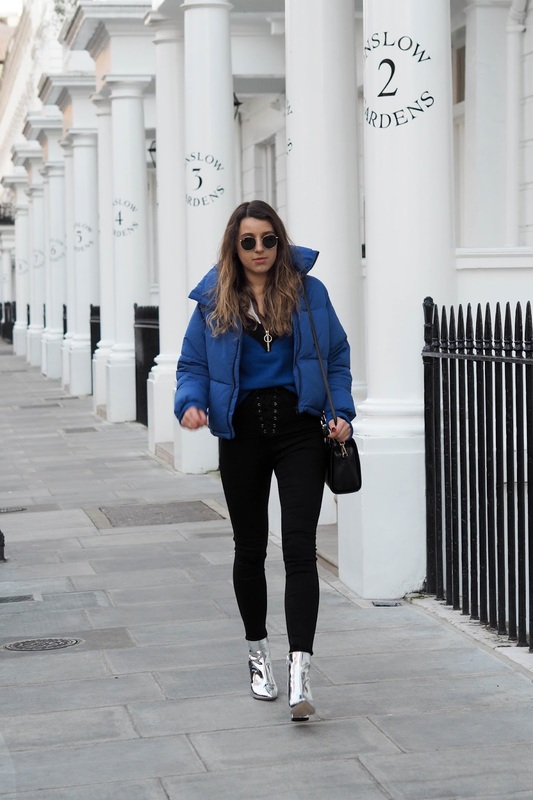 The great thing about this bright blue puffer jacket, aside from being great for stopping traffic is it adds a little bit of wow factor to a pair of black skinny jeans. It's the striking cobalt blue which really makes this jacket pop but I appreciate it may not be to everyones taste. So if that's the case it also comes in a number of other colours which you can see here. I am really tempted to go for another colour but I think five puffer jackets is pushing on a bit extreme. Not to mention, it's becoming quite the battle pushing them into my wardrobe. 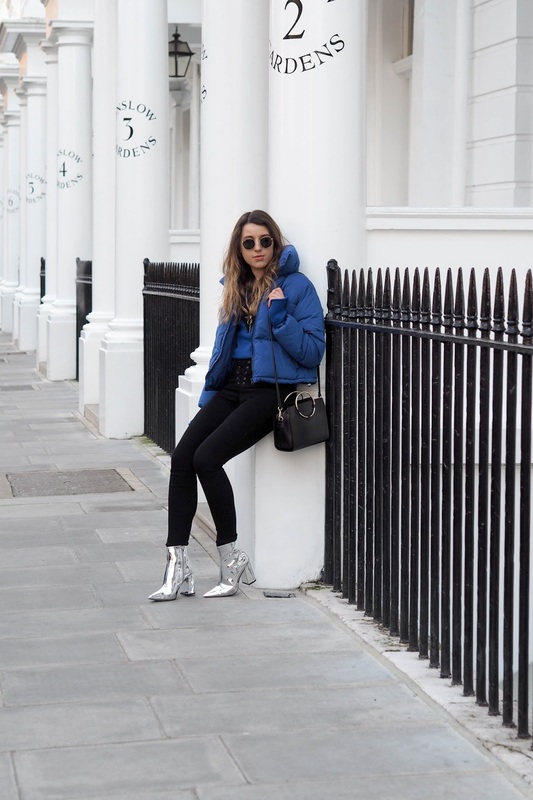 I'm intrigued to know whether any of you have added a puffer jacket to your outerwear collection this winter or whether you're not a fan of this sports luxe trend. With so many variations, from satin to velvet I really don't care if I look a little bit like the Michelin man because I'm warm and surely that's all that matters! I too am a puffer jacket convert. The quality appears to be incredible, with the exception of the coat is down and it is EXTREMELY HEAVY, which I believe is odd for down. Generally that is a light weight warmth..